– Corporate Tours – PLUS many more local Tour options. Offering Sydney, Newcastle and Central Coast day trips, and local Accommodation Pick Ups. Running daily tours across Pokolbin, Lovedale, Broke, Wollombi and Mount View. We are hugely passionate about the beautiful Hunter Valley, and have put many hours of most enjoyable research into every aspect of this exciting region. 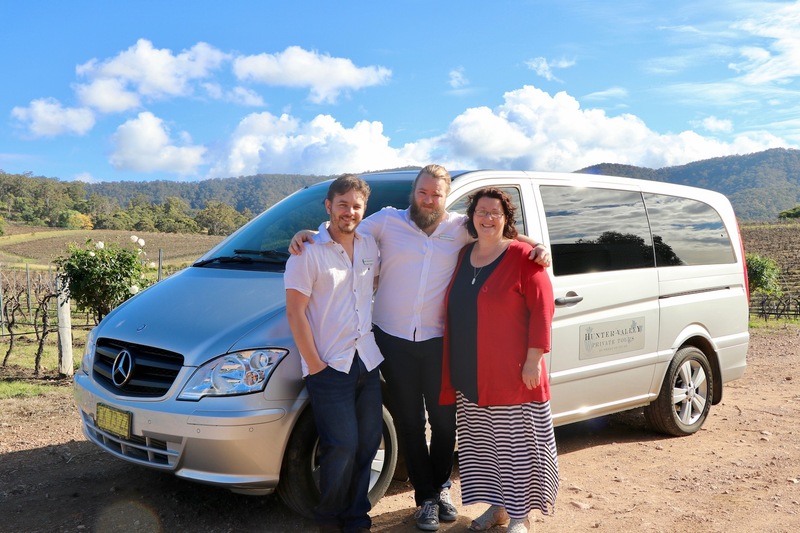 Rebecca, Greg and Gareth are your local drivers from the Pokolbin area of the Hunter Valley. Come and explore this iconic Australian area in style and comfort. Our philosophy: COURTESY, SERVICE and COMFORT. Hunter Valley Private Tours was established over 20 years ago by Glenn and Margaret Wendt. We are very proud to carry on their tradition of highly personalised hospitality with Hunter Valley Private Tours. +61 434 842 034 or (02) 4990 2738 to organise your custom tour.